Jersey Shore Patch Regional Editor Tom Davis, a Point Pleasant Boro native who is appearing at a Manasquan bookstore, talks about recovering himself and his family from generations of mental illness. Davis, a Point Boro native, was a recipient of a Rosylnn Carter Fellowship for Mental Health Journalism and received a ringing endorsement for the book from the former First Lady. 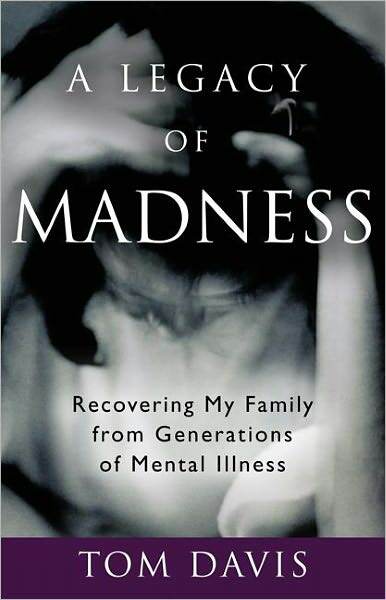 Tom Davis will be signing copies of Legacy of Madness at 7 p.m., Friday, October 6 at Booktowne, 171 Main Street in Manasquan, and at 11 a.m., Sunday, October 9 at Barnes & Noble at Brick Plaza in Brick. I sat down with Davis for a forthright interview about what it was like to grow up with his mother’s undiagnosed mental illness and what he did to change the course of history in his family. The interview has been edited for length and clarity. To read the interview, go to Manasquan Patch.